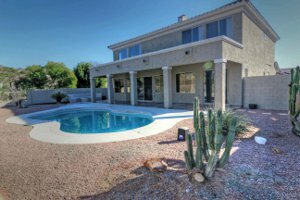 KD Realty will be hosting an Open House for our 10 W Glenhaven Drive, Phoenix, AZ 85045. The family size home sits on the Foothills Club West golf course, boasts a sparkling pool, extended back covered patio, mountain views, generous sized 5 bedroom home. Bring your family and friends on Saturday, April 18th from 11am-2pm to preview this gorgeous property. Call Kim Dempsey for questions at 480-231-0013.